Tai Chi Journey members celebrated our first anniversary on January 21st, 2018. Thornhill Club hosted the event at our Sunday morning class. Members from all four clubs enjoyed the refreshments and shared the accomplishments of a successful first year. 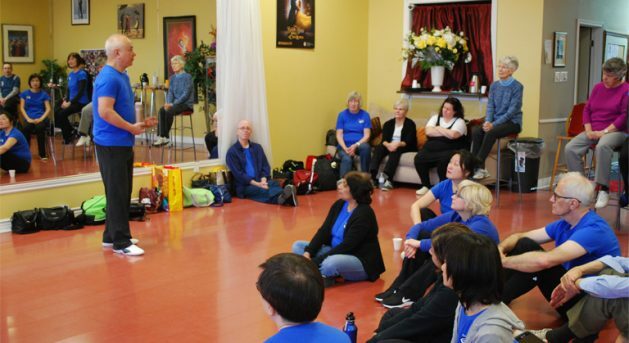 Patrick shared insights about tai chi practice. The celebration wrapped up with a delightful dim sum lunch in good company.